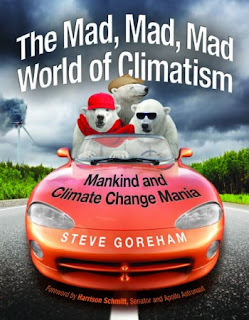 The Mad, Mad, Mad World of Climatism, by Steve Goreham, Executive Director of the Climate Science Coalition of America (CSCA). • By changing our light bulbs, we can save polar bears? 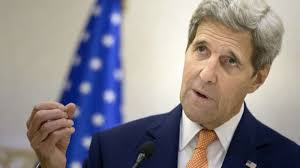 • By driving electric cars, we can stop the seas from rising? • By building wind turbine towers, we can make the hurricanes less severe? 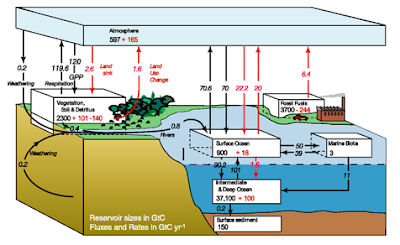 It’s all part of this Mad, Mad, Mad World of Climatism. 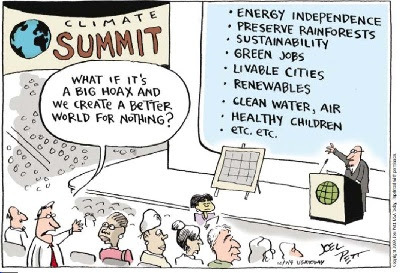 But the good news is that, contrary to what our newspaper, our professor, and our political leader tells us, global warming is natural and cars are innocent. 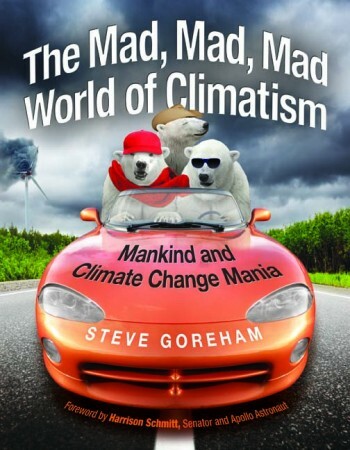 The first book on climate change that is fun to read!